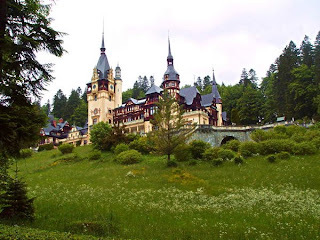 I write a lot on Transylvania but I do want to make mention how much both Romania and Hungary have had an effect on Transylvania... here are some photos for you to get an idea. Peles Castle, close to the Transylvanian border, I can see how it affected the artists of the area. 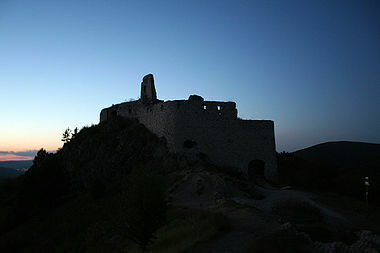 Bathory Castle in Transylvania, of a Countess of Hungary made famous by her serial killings of girls. Are these castles hotels? That first one'd be fabulous to stay at! I think Peles, the first one... does have hotels around it, but the second one is in a park since teh vegatation is protected, and it is ruins.